Round brilliant-cut diamond three-stone ring named after the Scottish island of Torsa. Featuring tapered baguette side diamonds, this classic design has been modernized with its low profile and strikingly fluid metal work. 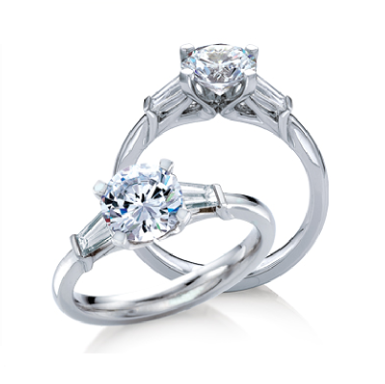 Set with a 1ct Centre Round Brilliant Cut Diamond & 0.30ct Baguette Cut Diamond Shoulder Stones.